*We used unsweetened coconut milk. 1. Cut avocados in half and remove the pits. Scoop the avocado flesh from each half into the food processor or a blender. Make sure to remove the little stem at the end of the avocado; it’s not edible. 2. Add all ingredients (except the melted chocolate) to the food processor or blender. 3. Then, break the chocolate bar into small pieces, and place in a microwave-safe bowl. Microwave on high at 40-second intervals until the chocolate melts, about 2 minutes. Remove the chocolate from the microwave and stir well until smooth and free of clumps. Then add the melted chocolate to avocado mixture. Pulse for an additional 30 to 45 seconds. 4. Add about ½ cup of the pudding to serving bowls. Cover with plastic wrap and chill for at least 20 to 30 minutes before servings. For the best taste, keep in an air-sealed container for up to 2 days in the fridge. You can serve with a dollop of coconut whipped cream, cacao nibs, chopped nuts, and/or a fresh mint leaf for garnish. Recipe Inspired by Rachel’s Good Eats! Be sure to check out her website for many more delicious, healthy recipes! 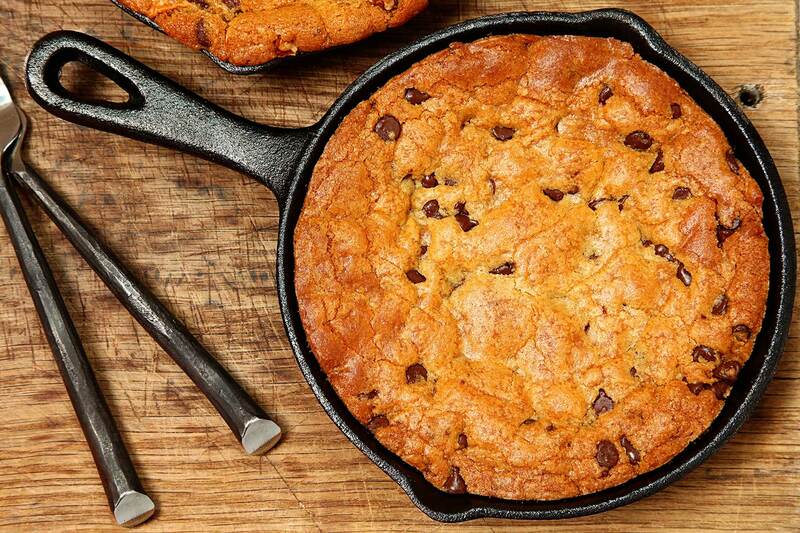 They say, “if it ain’t broke, don’t fix it,” and that’s precisely how we feel about Rachel’s Good Eats Cashew Chocolate Chip Cookie Skillet. 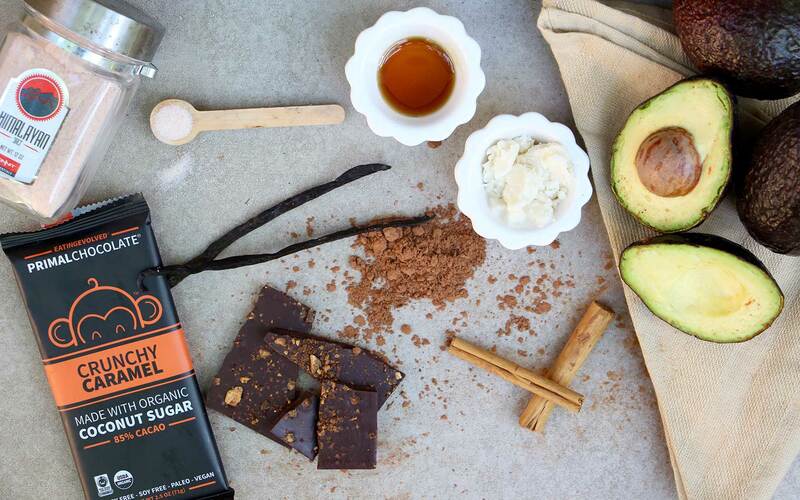 It’s perfectly ooey, gooey making you seriously question if it’s actually good for you. Well, we are here to reassure you. 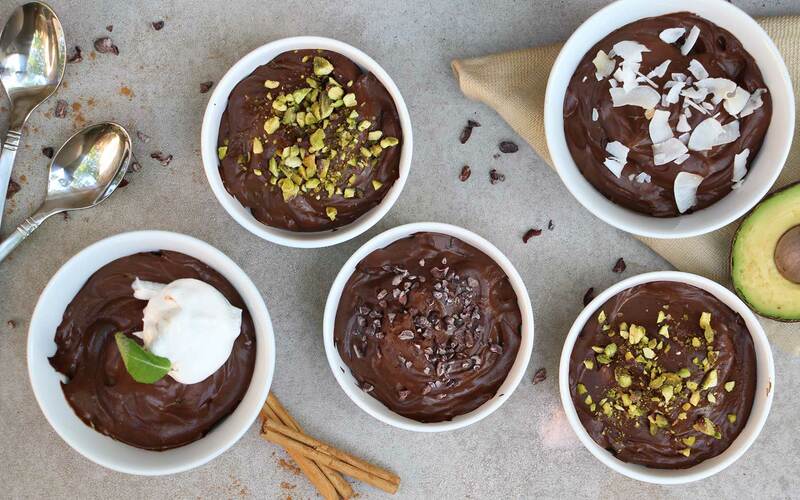 In the world of healthy desserts, this recipe reigns supreme. For those who are following a strict Paleo protocol, this may contain ingredients on your no-no list. While we respect your diet decisions, we want to offer healthier, tasty, whole-food based options for every meal–and yes, dessert is a meal in our book. After all, it’s not realistic to think you must live your life without a sweet treat every now and then. Happiness is integral in the total human optimization movement, so may this happiness bestow on you. Fair forewarning, this one quickly becomes addicting, fast! *We used Vital Farms pasture-raised eggs. **Always use an unrefined, cold-pressed, organic coconut oil for the highest quality! 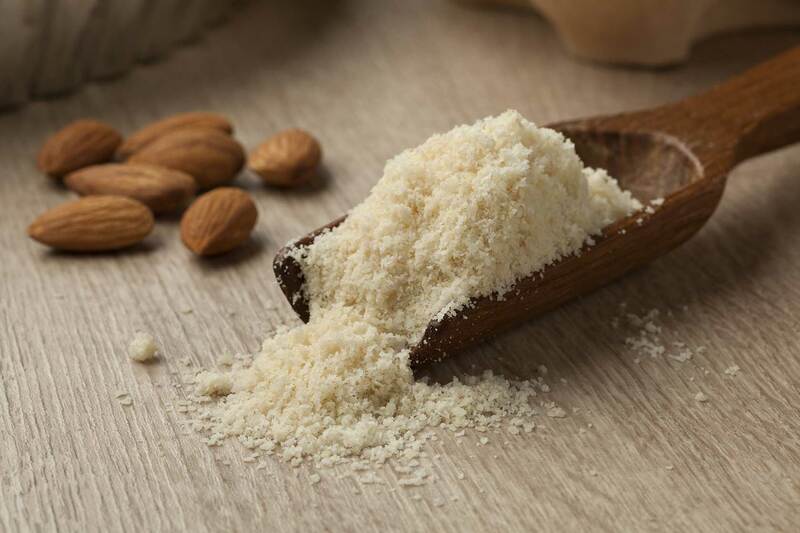 ***We used Bob’s Red Mill finely ground almond flour. 2. Whisk egg in large bowl then pour in maple syrup, melted coconut oil, WAC butter, vanilla and almond milk. Whisk again. 3. Stir in almond flour, baking soda, cinnamon and some salt. Fold in chocolate chunks, leaving several chocolate chunks aside. 4. Lightly spray an 8-inch cast iron skillet with coconut oil then pour batter and spread out evenly using a silicone spatula. Place the last several pieces of chocolate over the top, sprinkle a little more Himalayan salt, and place in the oven for 19 minutes on the center rack. Turn the oven on broil and cook 1- 1½ additional minutes **keep a close eye on it because it can burn quickly!